In Kodi the primary environment was designed for the living room and controlling it only with a remote control. While Kodi does support mouse, keyboard, and even touch controls, the main method of controlling Kodi is designed around is the typical remote. This further enhances the appliance feel of the Kodi and fits next to (or replaces) the other remotes that are likely to be in your entertainment room. MCE Remotes – Infrared remote controls made for computers that follow the MCE standard. These remotes should work with Kodi out-of-the-box on Windows and Linux. RF Remotes – Radio frequency remote controls, such as 2.4 GHz dongles and bluetooth remotes. Most of these typically emulate a keyboard interface and/or standard multimedia keys. CEC – Use your existing TV remote control if you have a CEC (Consumer Electronics Control) compatible television or AV-recidver supporting HDMI-CEC interface. Game controllers – Game controllers, including gamepads and joysticks, such as Xbox 360, PlayStation 3/4, and Nintendo Wii controllers can all be used to directly control Kodi’s interface. Smart phone/tablet – Turn your smart phone or tablet into the ultimate remote control. Control Systems – Highly Customizable Programmable Control Systems for Home Automation which can control Kodi as well as Lights, HVAC, A/V Equipment, and much more. Touch controls – Using Kodi with a touch screen device. Web interfaces – Web interfaces allow users to control and interact with their Kodi installation through a web browser. This can be used for a remote control, library management, visual feedback, and many other things. 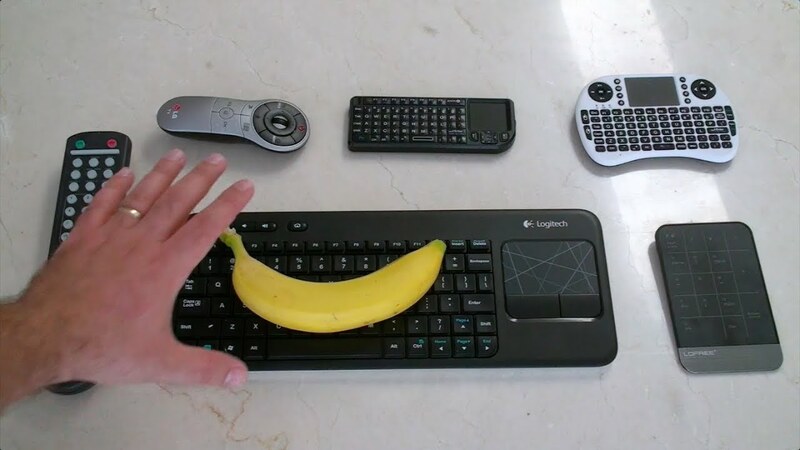 Keyboards – Still want to use a keyboard and/or mouse? Check this page.